Everything to do with Brexit is still speculation, conjecture and guesswork, however, this recent article from Diario de Avisos was interesting to see how it is perceived from the point of view locally in the Canary Islands. The exit of the United Kingdom from the European Union (EU), better known as Brexit, generates enormous uncertainty and concern. It will have serious internal consequences for the British but also, due to its great economic power, for the whole of the Union. It will also affect the Canary Islands, where British tourism is very important and, as a large part of our horticultural exports are destined for the United Kingdom. Europe is not going through its best moment. We have gone from a Europe that generated hope to one that, unfortunately, generates disappointment, despite being one of the few global areas with high economic and cultural level, consolidated democracies and advanced social rights and freedoms, but, also, with deep inequalities that have been deepening and consolidating. The value of European unity suffers as conservative ideas and ultranationalism advance, which turns countries into nation states without the slightest European interest. This has been helped by the lack of protection and the fear caused by the austerity policies and cuts applied during the crisis, which have impoverished a part of its population and shown its enormous vulnerability. The political expressions of the anti-European movement are especially felt in Hungary and Poland, where extremist populist formations govern, but also in parties such as Alternative for Germany or the National Association of Le Pen (former National Front) in France, with significant electoral weight. Also, with those who have promoted Brexit. Several polls predict the far right and eurosceptics a representation above 150 seats in the European Parliament elections next May. Brexit is a decision, adopted in referendum in June 2016, which generates a high internal impact and expands to the whole of Europe. We are referring to one of the most powerful states in the EU, in which 51% of its imports come from the European Union and 47% of its exports are made to countries of the Union. An agreed and orderly departure from the United Kingdom, as initially outlined in the agreement between its Government and the European Commission, seemed the most reasonable framework and with the least negative effects for the parties. It allowed its presence in the EU until 2020, made it possible to maintain its contribution to the EU budget (almost 11,000 million euros), as well as its maintenance in the single market and in the common airspace. On the contrary, a hard, rupturistic solution, where it is not known how it will end, will impact, first of all, on the economy of the United Kingdom itself and on the pockets of its citizens, where the backward movement will be evident. 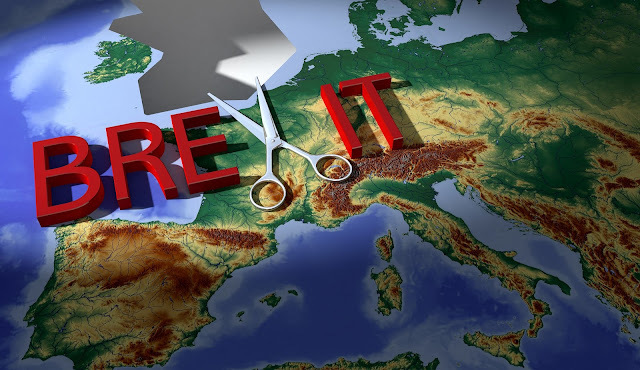 Some reports indicate that a third of British companies could leave the country. Some have already begun the procedures for transfer and will have very serious problems the rest. In relation to the Canary Islands, there are several issues that can be affected by Brexit. In the case of the agricultural export sector, we have half of the horticultural sector - 49% in tomatoes and 57% in cucumbers - committed to the United Kingdom. By becoming a third-party country of the EU, aid for transport and commercialization would be lost. In addition, we import more than 80% of the consumption potatoes and a significant percentage of those for sowing. The impact on our main sector, in tourism, would also be very significant. First because of the decline of the British economy, where there are very different estimates from those who point to the retraction of a point of GDP to those who predict six points in the reduction of wealth. The more than predictable greater devaluation of the pound will reduce the purchasing power of the British people and, therefore, will hinder their departure for tourism. Tourism from the United Kingdom accounts for 33% of total visitors to the Islands, reaching 44.7% in Lanzarote and 35% in Tenerife and a third of total tourism expenditure (origin and destination). Its reduction would have effects on the Canarian economy and on employment. In addition, airlines with British majority capital would also be affected, including Iberia and other low-cost carriers with a particular impact on the transfer of tourists to our archipelago. Faced with such uncertainty, in October 2016, the Canarian Government created a working committee to monitor and evaluate the consequences in the Canary Islands of the departure of the United Kingdom from the European Union, which we value. But, in addition, the Executive has to act with determination and in a coordinated way.